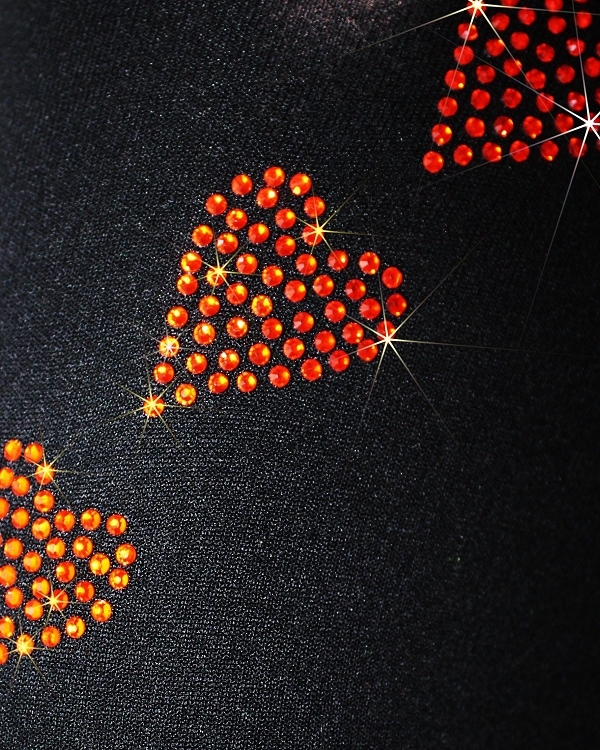 Orange rhinestones "Spiral Hearts" design. Sparkly hearts swirls around left sleeve of the jacket and make this jacket eye-catching on the ice. Enjoy skating and look great on the ice with premium ice skating jacket by Ice Fire - your way to shine!